CCC provides the campus backbone services with about 20 kms of 12 core OFC using 1 Gbps & 10 Gbps backbone to the different buildings and broad band to the residences. The Data centre acts as an integration hub of OFC/backbone. It houses the 1 Gbps Internet connection to BSNL , the 1 Gbps link to the National Knowledge Network (Internet bandwidth about 330Mbps), associated networking equipments and sufficient hardware to handle the critical backbone network services. Main servers are connected to the data centre network. Critical services are accessible from inside and outside the network. CCC Uses Blade Servers with VMWare and the old servers are being migrated to the virtual platform. Departments, residences (through the broadband), directorate (and administrative net) , guest houses and hostels are individually connected to the core switch. At present, the hostel networks are integrated into the academic network of NITK sharing the Internet bandwidth of the Institute. The hostels have a total of 3000 nodes which will increase to approximately 5000 nodes The academic LAN is about 2000 nodes at present. However, this is likely to go up once the new buildings are included. 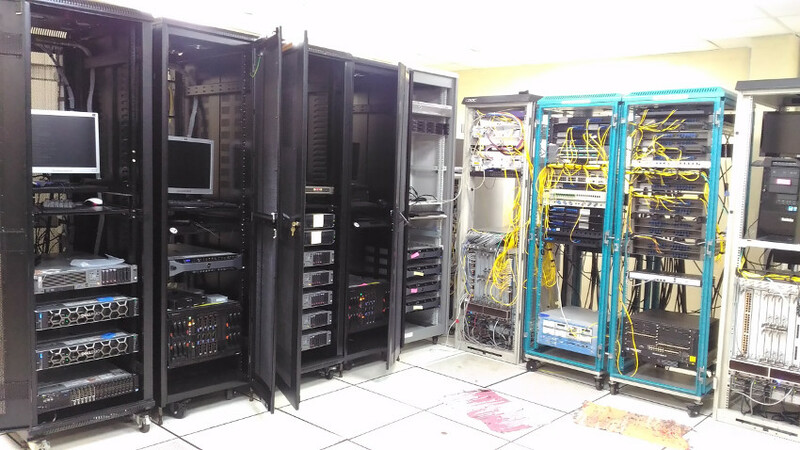 CCC augments the academic departments’ needs through its own modest LAN of 100 nodes (Ground Floor) and 113 nodes (First Floor). 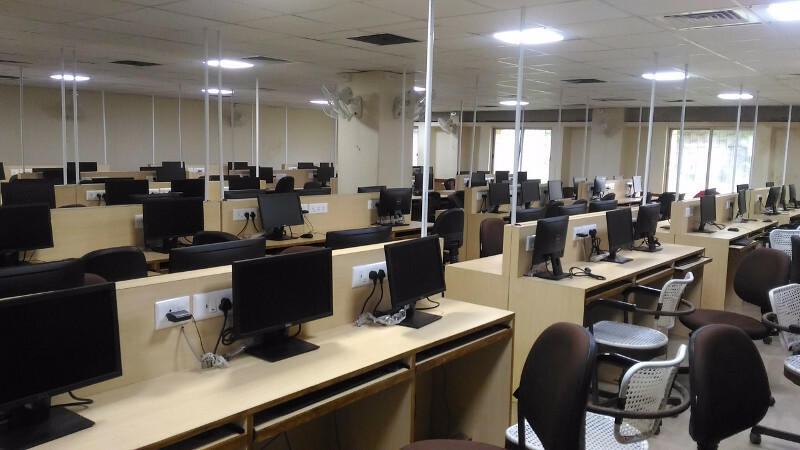 The computers of CCC are used to support First year Computational Practice Labs, General Purpose Learning & Internet access, On-Line tests (Training & Placement) & Various co-curricular and other student activities. 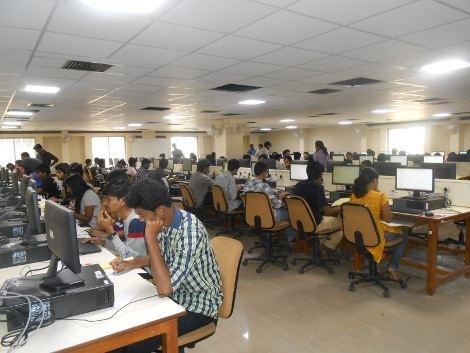 The ground floor hall is used for the fist year computational practice laboratory and On-Line tests and is available for other activities only after the lab-hours. The first floor hall is available for general purpose computing & browsing. The network infrastructure facility management of NITK is outsourced. Comprehensive onsite AMC is available for the Network switches.There is a helpdesk number 0824 2473085. There is also a rate contract with the firm to facilitate any immediate need of network alterations within a limit. The Institute follows the two cover tender system if the purchase cost is above Rs One lakh. The facility has a 200KVA Diesel generator that was established in 1994 and two 20KVA and one 15 KVA online UPS systems procured later for providing backup power during the changeover. Two 15 KVA UPS systems provide the power backup to the CCC LAN. The 33KV electrical substation established recently has increased the power availability significantly resulting in better availability of campus LAN.